Utah State University Eastern kicks off its annual Bread ‘n’ Soup Night starting Monday, Nov. 6 and continuing Nov. 13 and 20. A campus and community favorite since 1997, Bread ‘n’ Soup Night brings people together to share a simple meal as a fundraiser for the Carbon County Food Bank. “With so many families in need, it’s rewarding to offer such a fun way for the community to help,” explains student Kori Jorgensen, a native of Layton, and Eastern’s SUN Center co-leader. With last year’s contribution of $4,000, Bread ‘n’ Soup Night reached $50,000 in total donations to the Carbon County Food Bank over 18 years. “We’re hoping that we can top what we donated last year! But whatever we collect, we are so appreciative of the community support for this project,” said Emma Campbell, an Eastern student from Fresno, California, and the SUN Center’s other co-leader of Bread ‘N Soup Night. 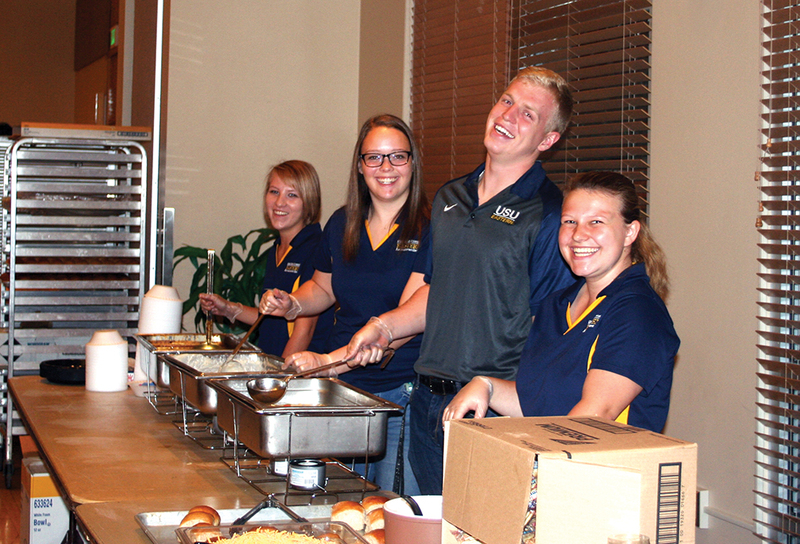 Bread ‘N Soup Night takes place between 5 and 6:45 p.m. in the Jennifer Leavitt Student Center’s multipurpose room. Prices are $6 for adults and students 18 and older, and $5 for students 5 – 17. Children under five are admitted free with a paying adult. For the price of admission, each person receives two tickets good toward one bowl of soup apiece, with children under five each receiving one ticket. Additional tickets may be purchased for $2 per bowl.